On 29 February ECSA (the European Composer and Songwriter Alliance) announced that it had filed a formal complaint on January 17th with DG Competition alleging that the terms of publishing agreements into which composers are coerced by some of Europe’s largest and most prominent broadcasters are far less fair than what could be secured in a truly free and open market. 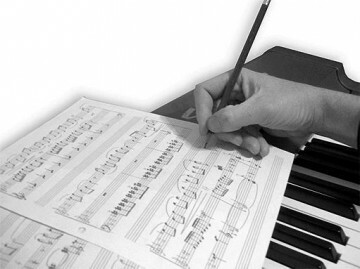 Composers are frequently told that they will not be considered for commissions unless they are prepared to assign the copyright in the musical works created to a “publishing” company owned by the production company or broadcaster– or one chosen by them (and from whom the publishers will have generally received an advance payment). Coercive commissioning has a dramatic financial impact on music creators in that it appropriates a significant and legitimate source of income. ECSA first officially informed the European Commission in a meeting with European Commission Vice-President Joaquín Almunia on November 30, 2011. ECSA has since provided evidence to the Commission concerning the coercive commissioning of broadcasters and film producers in Denmark, France, Germany, Italy, the Netherlands and the UK but stresses that these coercive practices also occur in the other 21 Member States and in third countries. FERA supports ECSA in this action, which could prove equally relevant for film directors.